Since Coney Island Gourmet Food opened in Stillwell Terminal in November, its Turkish-American owners have kept it stocked with a variety of imported chocolate bars, cookies and bulk nuts, as well as freshly baked bread, teas and grocery items. It struck us as a convenient place to stop by on the way home from work rather than on the way to the beach. A “Magic Gyro” sign on the Stillwell Avenue facade and a corner kitchen were a promise of home-made take-out food to come. 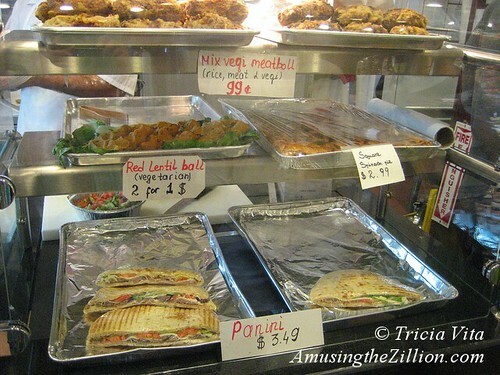 The kitchen finally opened for business a few weeks ago and ATZ was delighted to find some vegetarian options, which are scarce in Coney Island’s amusement area. In addition to chicken and veal sandwiches and entrees served with rice and salad, the menu offers falafel, hummus, babganoush, haydari (yogurt flavored with garlic, herbs and olive oil) and stuffed vine leaves. The food is very reasonably priced. A salad with pita bread is $2.99-$4.99, red lentil balls are 2 for $1.00, and spinach pie is $2.99. Last season, Coney Cones on the Boardwalk had panini but has taken it off their menu to focus on sweets and we miss it. We were happy to find the item available here for $3.49. Did we mention that Coney Island Gourmet has the coldest air-conditioning in all of Coney Island? When we stopped by on one of those killer days in August, the cashier was wearing a polar fleece jacket. 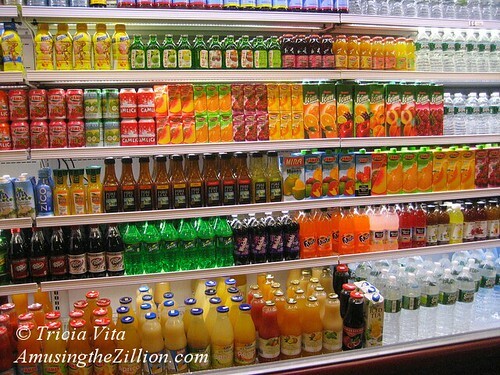 The cold drinks in the cooler are dazzling to look at and ice cold. 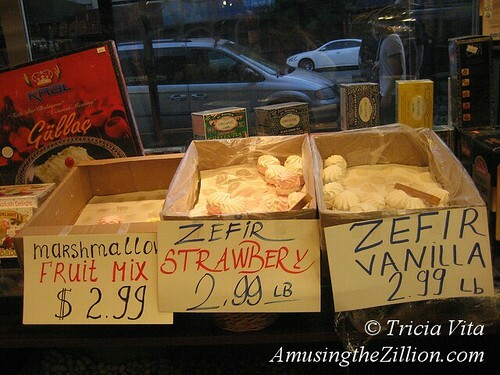 For dessert, try something different: Zefir, a traditional Russian marshmallow-like treat. 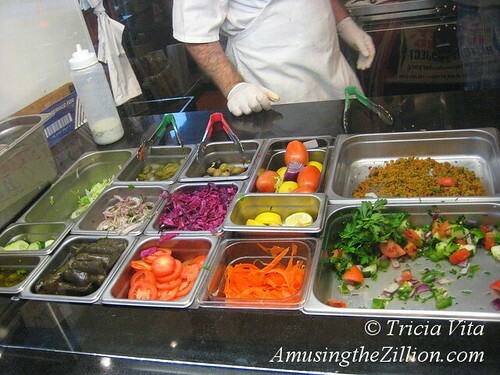 Manager Umut Ozalp tells ATZ that the shop also has outposts at Brighton Beach, Kings Highway and 86th Street. Coney Island Gourmet Foods, 2943 Stillwell Avenue (inside Stillwell Terminal), Brooklyn. 718-373-8400. 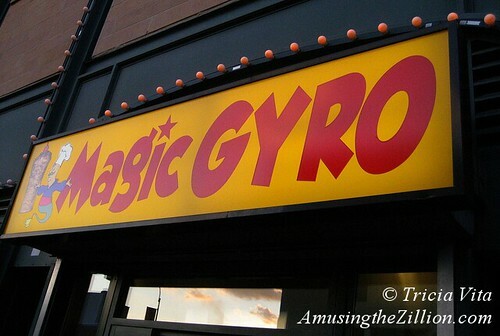 Magic Gyro is closed. They have yet to rebuild and re-open after flood damage from Superstorm Sandy in October. As a vegetarian who loves to visit Coney Island, this is very good news. I love french fries, pizza and knishes but it’s nice to have more options.